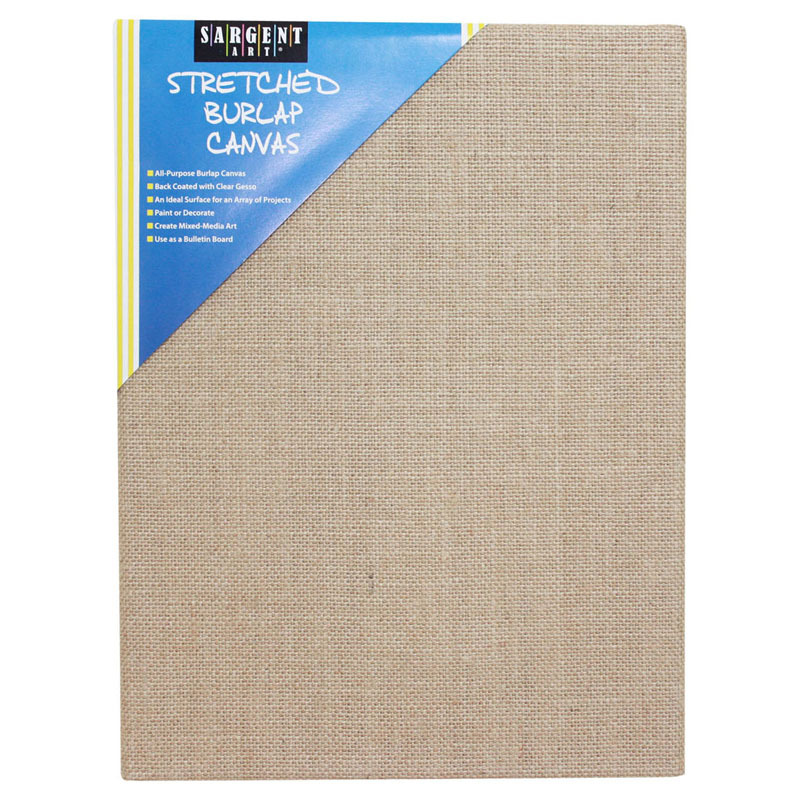 Stretched Burlap Canvas is made of 100% burlap with a pine wood frame. Suitable for hanging with or without framing; stapled on back. Acid Free. Great for oils or acrylics. 500gsm burlap. Measures 9" x 12". 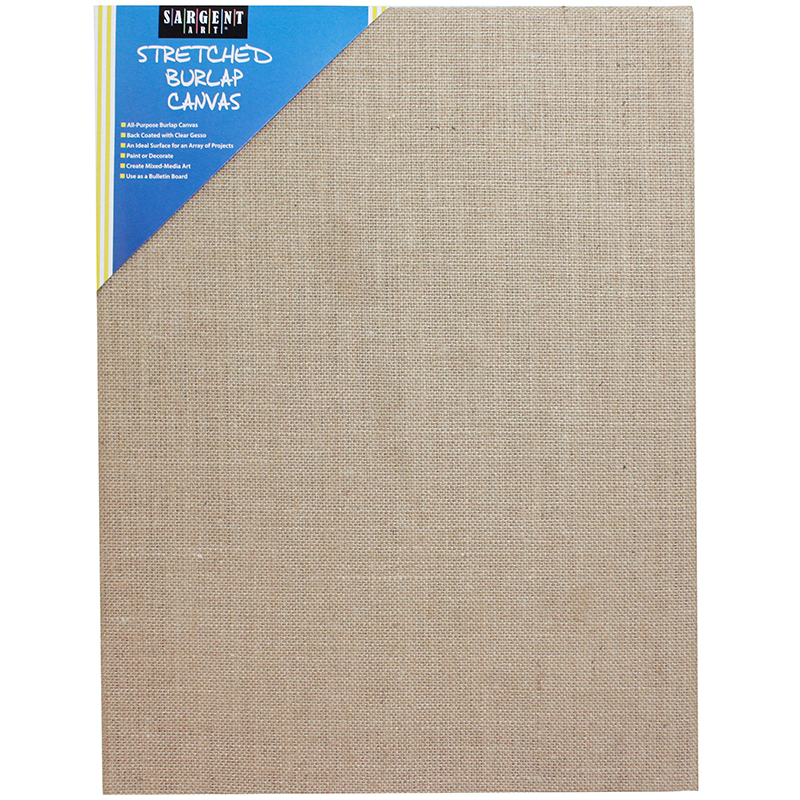 The Stretched Canvas 9 X 12 Burlap can be found in our Canvas product category within the Arts & Crafts. 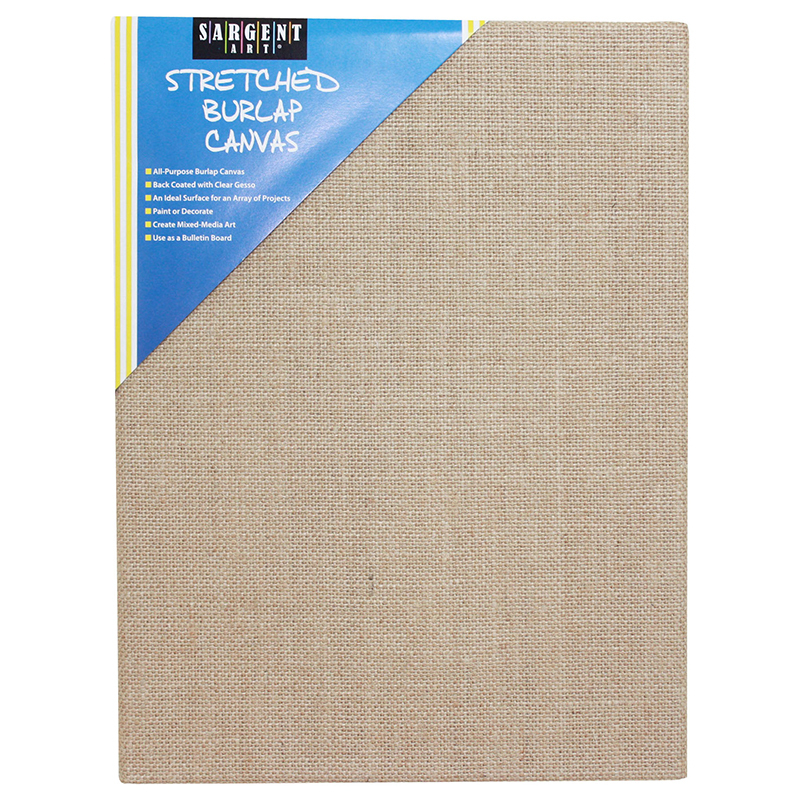 Stretched Burlap Canvas is made of 100% burlap with a pine wood frame. Suitable for hanging with or without framing; stapled on back. Acid Free. Great for oils or acrylics. 500gsm burlap. Measures 12" x 16".